via – Lydia M., AVAC’s resident AbsoluteFIT blogger! Instacart and DoorDash. GOSH, I love Instacart and DoorDash — way too much, I think. Because the convenience of shopping at Safeway and Whole Foods from my laptop (for cheap, with the Express membership!) or effortlessly summoning dinner from as far away as Willow Glen has a dark side: I’m not going to the store, walking all over, walking in the parking lot, running other errands, crisscrossing my own kitchen while I cook … I’m sitting on the couch, with my computer. It’s a little thing, sure, but it adds up: I’m just taking fewer steps. My Hair: OK, I’m vain about my hair. It’s a well-known thing. I don’t wear makeup, I dress like a college teaching assistant from the early 90s, I don’t even do manicures, but nothing is too good or too much for my hair. And I hate to ruin a good hair day with a sweaty workout, especially if I know I’ve got to see people later. 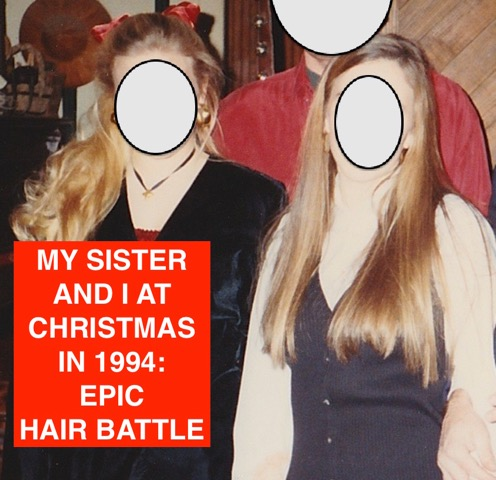 Most of the time, I just go ahead and let my hair get dented by the hairband, because I’m a SAHM and nobody really sees my second-day hairdo … but what do you do during the holidays? You go places and see people! I don’t want to wash, blow dry, and fix my hair every single day (it takes about an hour to get it the way I want it). So … I sometimes just … don’t do the workout. Ugh. I know. I KNOW OK. So, newly aware of my issues, I’m attacking them head-on; today I actually went to the store instead of using Instacart, and resolved to not worry about the hair tomorrow, because I need a good workout more than I need shampoo-commercial hair. One day at a time, y’all — one day at a time. Share your weird issues with me, willya? Don’t leave me hanging here! Looking for a New Soup Recipe?